Tasty and refreshing. I prefer cheddar to mozzarella and I also skip adding any olives. 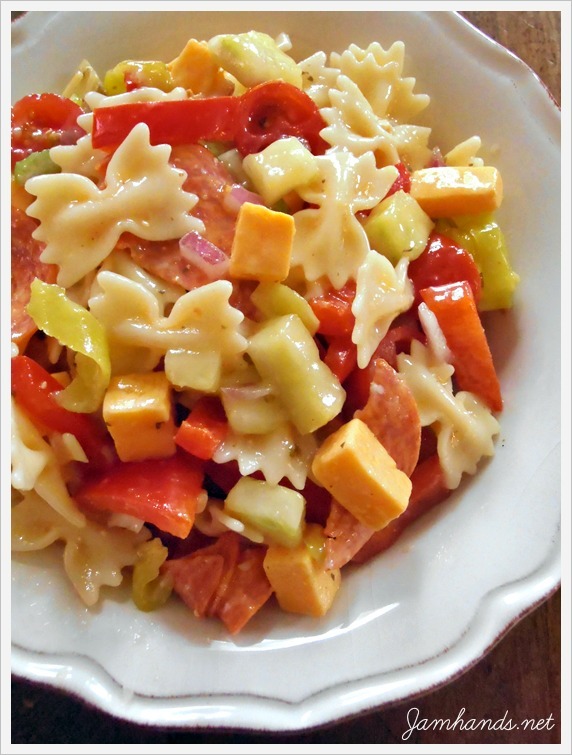 The great thing about this sort of side dish is that it is easy to customize to fit your tastes. 1. Cook the pasta according to package directions. Rinse with cold water and set aside while you prepare the vegetables. 2. Prepare all the vegetables and cheese. Toss with the pasta and the salad dressing. Let chill for several hours and serve. I love this type of salad! Thank you for sharing at Simple Supper Tuesday. Thank you for sharing with See Ya in the Gumbo. This is the kind of thing I like to take to work for lunch. I'll use the olives...crazy about them! 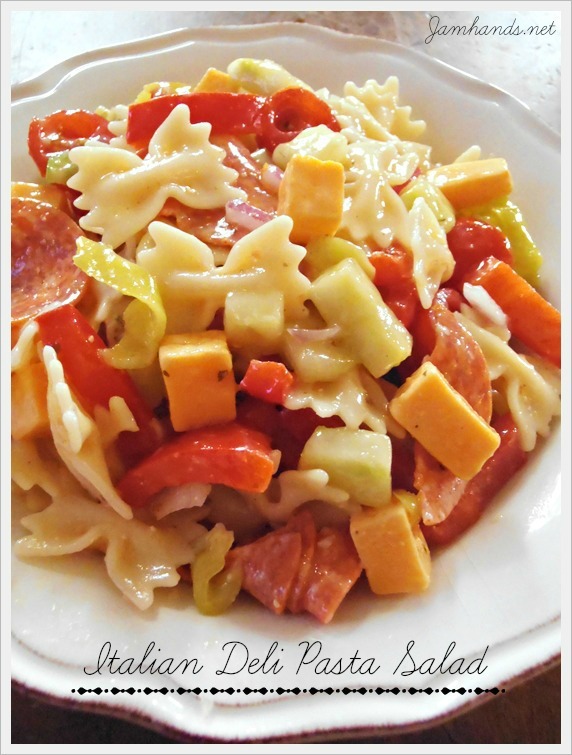 I just love a salad like your Italian Deli Pasta Salad, it is one of those go to salads that is good every time. Thanks so much for sharing this favorite with Full Plate Thursday today and have a fantastic day! That looks amazing! Pinning for sure! 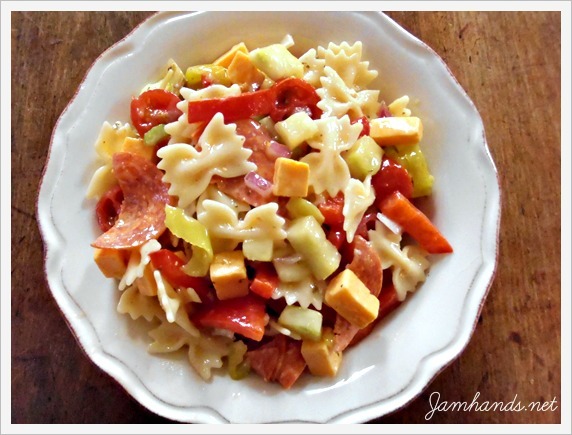 My husband loves these kind of pasta dishes! Thanks for sharing at the weekend Re-treat hope to see you again this weekend!